Oh She Glows is one of my favourite food blogs. When I first started cooking on my own without parental supervision, I made many of Angela’s recipes. Several of her recipes are sitting in my recipe collector, well-worn and creased – a sign of good eats. Also, she is coming out with a cookbook! Eeek! So excited. I love that this recipe is made without expensive, hard to find ingredients. 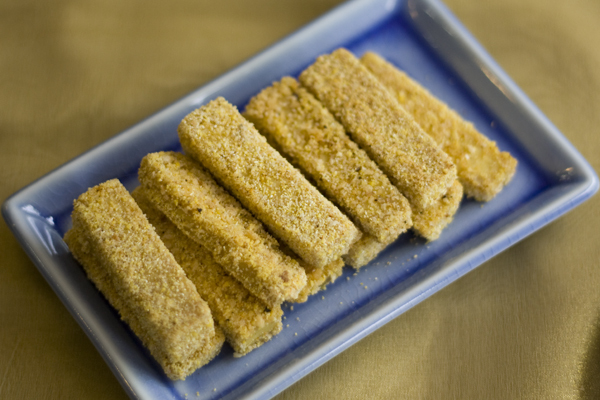 The steps are simple and don’t require much work besides draining the tofu, breading the sticks and pressing “Bake” on your oven. My boyfriend and I love to make these when we are feeling lazy because they require so little work. We pair them with sweet potato fries, and DQ’s chicken strip basket comes to my mind. Except that this is a million times healthier. 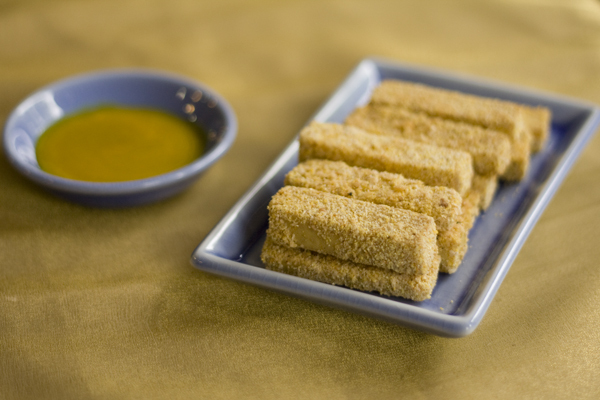 The tofu sticks are so perfectly crispy and crunchy, that I don’t miss fast food at all. I don’t even remember the last time I had fast food. Fries totally don’t count. Right?? 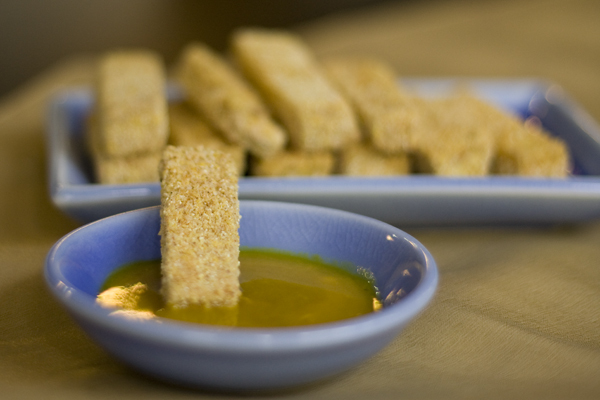 Tofu sticks are dry, so I love to pair these with a honey-dijon mustard sauce. Agave nectar also works nicely with dijon mustard. Click here for the tasty recipe!